Characterization and Analysis of Microplastics, Volume 75 presents the latest information on new and published analytical methodologies for the identification and quantification of microplastics. This series focuses on a variety of interesting topics surrounding the field of microplastics, with this new release in the series covering sampling and sample handing, the characterization of microplastics by raman spectroscopy, and techniques for assessing the chemical compounds related to microplastics. 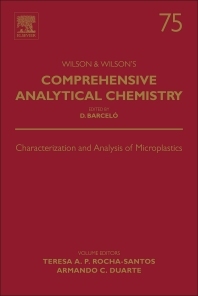 Users will find a variety of useful information that includes morphological, physical and chemical characterizations, along with analytical techniques and future perspectives of analytical methodologies in this rapidly advancing field. It's good reference for the analysis of microplastics. Dr. Teresa Rocha-Santos graduated in Analytical Chemistry (1996) and obtained a PhD in Chemistry (2000), both at the University of Aveiro, Portugal. In 2001 she was awarded with a prize for her PhD studies in the area of urban environment. Currently, she is a Principal Researcher at Centre for Environmental and Marine Studies (CESAM) at University of Aveiro. Her research concentrates on the development of new analytical methodologies fit for purpose. She published more than 110 peer-reviewed publications based on her research. Her work has been published, among others, in Trends in Analytical Chemistry, Science of the Total Environment, Journal of Hazardous Materials, and Talanta. 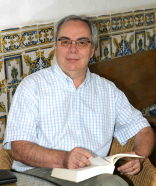 Prof. Armando C. Duarte (http://www.cesam.ua.pt/aduarte) graduated in Chemical Engineering (1977) at the University of Oporto (Portugal) and obtained a PhD in Public Health Engineering (1981) at the University of Newcastle-upon-Tyne (United Kingdom). In 2006, The Portuguese Science Foundation (www.fct.pt) awarded him a prize for Scientific Excellence and in 2013 he became a Member of the FCT Scientific Council for Natural and Environmental Sciences. He is a Professor of Environmental & Analytical Chemistry at the University of Aveiro (Portugal) since 1995, leader of a research group on the same subject, lecturer on Anaytical Quality Control subjects, and either supervising or co-supervising many PhD students, some of whom became members of staff, both as lecturers and researchers. His highly-interdisciplinary research spans areas of comprehensive environmental and analytical chemistry, qualimetrics and analytical quality assurance, but also includes the assessment of the relevance of new concepts and integration of different ideas into widely accepted frameworks, especially when applied to sustainability. He co-authored more than 450 peer-reviewed publications leading to an h-factor of 38.